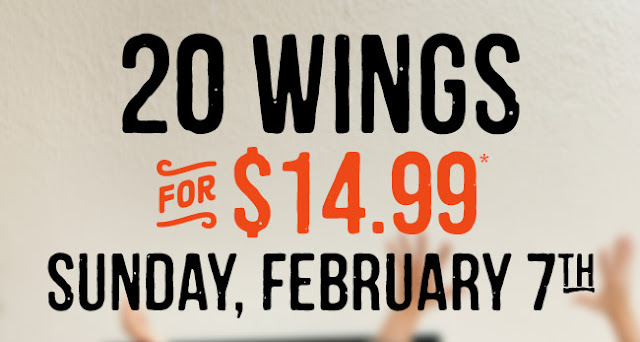 *OVER* Outback Steakhouse - 20 Wings for Only $14.99 this Sunday! Head over to Outback Steakhouse and grab 20 Wings for Only $14.99 this Sunday for the Big Game! Choose from mild, medium or hot. Available for Curbside Take-Away or dine-in. *See restaurant for complete details.